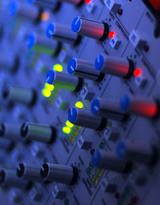 Digital & analogue mastering for individual songs to albums and beyond. Full stem mixing service for pre-recorded and arranged material. Audio editing of entire mixes, groups, or individual tracks. Pre-mastering advice on how to improve and get the most from your mix. Fix those clicks. Remove that hum. Reduce that noise.